Out on Route 128 in the town of Westford in northern Vermont, drivers can’t miss the outsized wooden bird peeking over the trees. But the obscene gesture isn’t directed at drivers. It’s pointed squarely at Westford’s selectmen and administrators. The 700-pound pine sculpture of a middle finger, perched atop a 16-foot pole and lit up by floodlights at night, is the latest development in a decade-long fight between Ted Pelky and the town over zoning regulations. Pelky, who erected the sculpture on his property on Nov. 30, told the Burlington Free Press that he has been fighting to get a permit for an 8,000-square-foot garage on his property. But the town has declined to approve the permit so he can move his truck repair and monofilament recycling businesses to his property from nearby Swanton. Town officials say Pelky’s applications have not met town standards and are missing information about the garage’s proposed use and security lighting, according to the Free Press. But Pelky maintains the town is biased against him. “I’m fed up and it was time to do something,” he told local broadcaster MyNBC5. So he decided to send them a message. And there’s nothing the town can do about it. 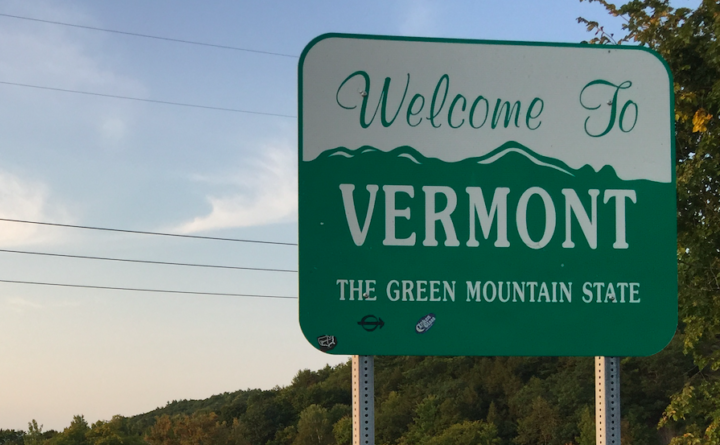 Vermont, like Maine, bans billboards advertising businesses. While the middle finger sculpture has generated a lot of attention for Pelky’s business, according to Vice News — even inspiring a Facebook fan page — it is considered a public artwork, exempting it from both the state ban on billboards and Westford’s zoning regulations. Flipping the bird also is protected under the First Amendment.